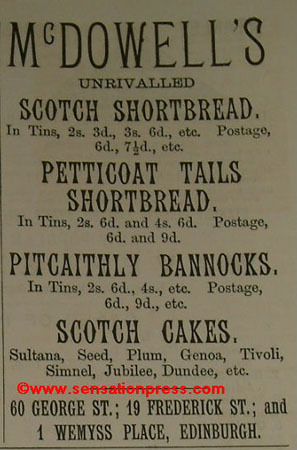 McDowell's Scotch Shortbread, Pitcaithly Bannocks & Scotch Cakes. An advert from a paperback novel published by Adam & Charles Black in 1890. John White & Co., The Shetland Warehouse, Edinburgh.